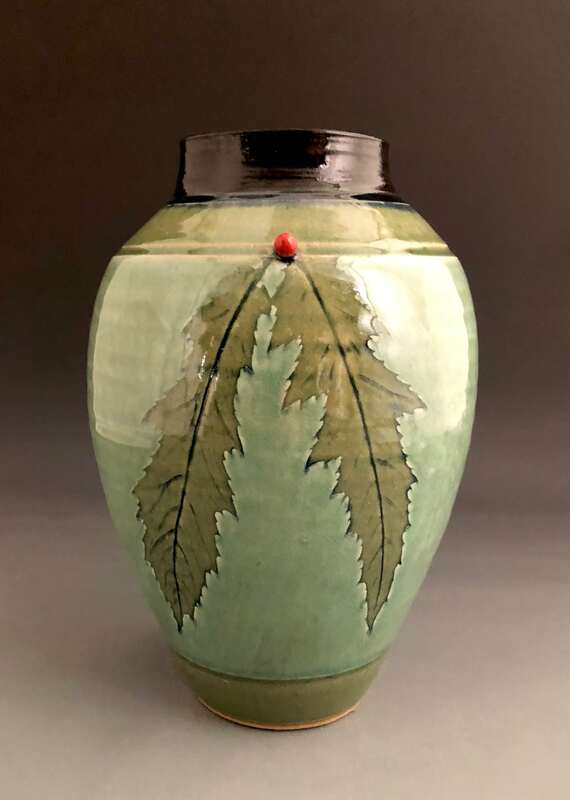 Like Morris-style wall-paper, this moss green vase uses repeated, formalized patterns of dandelion leaves, accented by simple red button “berries” three times around its circumference. 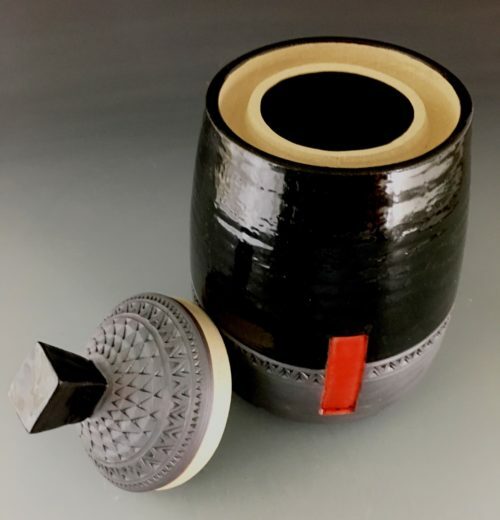 This elegantly simple vase would look fabulous with deep red tulips! 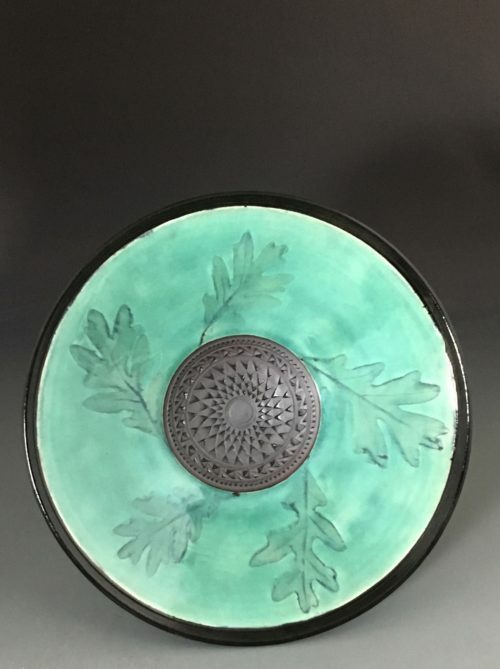 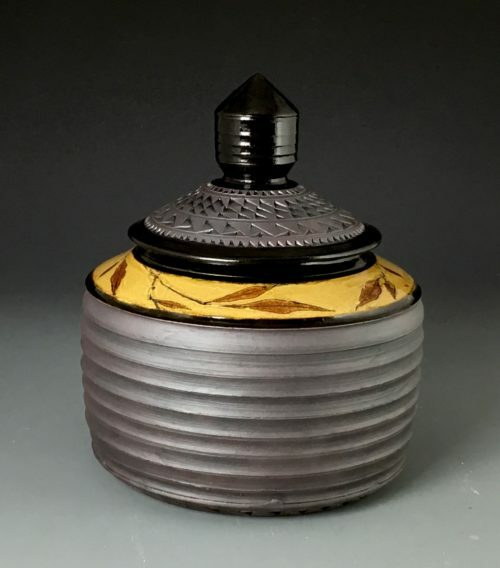 9″ tall by 6″ diameter.